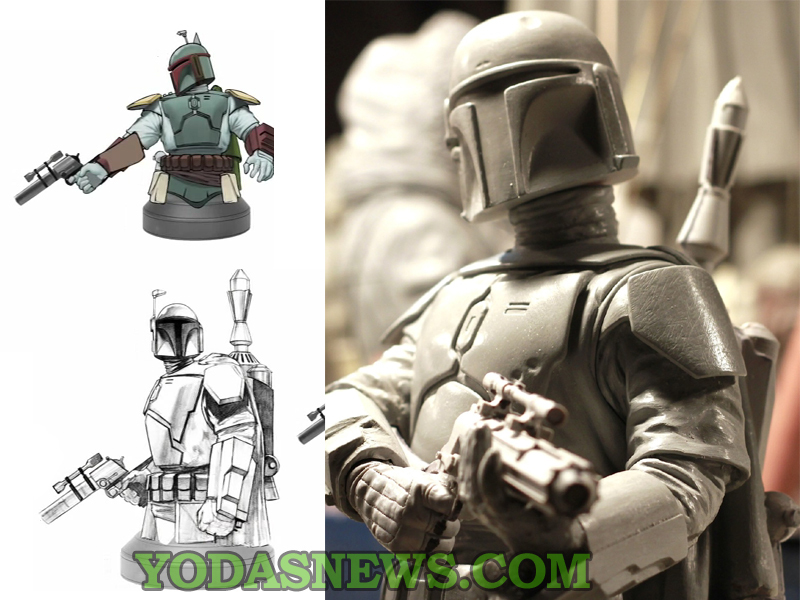 This hasn’t officially been announced yet, but all signs point to Gentle Giant releasing a second mini-bust of Boba Fett. As I mentioned in my post on the Yak Face Mini-Bust, the original Boba Fett mini-bust is highly sought-after and expensive on the secondary market, so I don’t have one in my collection. But since it’s the Empire Strikes Back version anyway, it makes sense to wait and get this version for my display of Gentle Giant mini-busts. The differences aren’t huge (boiling down to mostly different color paint in some places), but I’d rather have the correct version and since this will be much cheaper, it’s a win-win. It looks like it may be a deluxe statue with several different arms, allowing you to vary the pose. Some have said that his neck looks too long, but I think a lot of that is due to the angle from which that this photo was taken. Of course, since this isn’t even in the final prototype stage, and Gentle Giant is not the speediest at releasing announced products, it could easily be over a year before we can actually buy it.